Awesome shot Fotis, a real beauty! Tac sharp focus displaying excellent detail and just the right exposure. The colors are vivid yet natural and the clean amber BG is a bonus. Great work!! 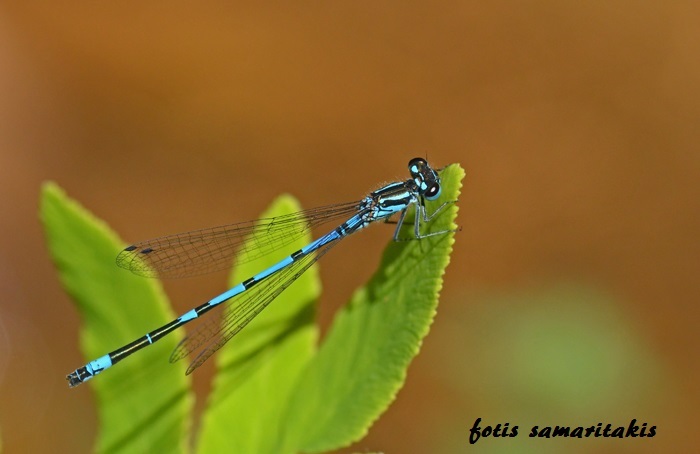 Beautiful damselfly, common in Mexico too (or very similar).